Some things run in the family, for Jane Haw, a farmer from Swanage in Dorset, it was a passion for animals and all things outdoors that led her to follow in her parents’ footsteps and take up her role as a farmer. Jane manages a beef and arable farm with over 300 hectares and 150 beef cows, as well as corn and wheat. Jane and her cattle have an extremely successful track record at shows, with great success with home bred cattle at The Royal Show and the Royal Highland Show. 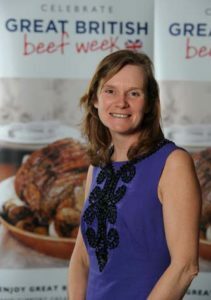 Jilly has also become a champion of Ladies in Beef which was co-founded by two beef farmers, Minette Batters and Jilly Greed, who hold a passionate belief that the general public has a right to know about the people producing their food, the exacting standards, and the high quality and care that these farmers maintain.